serena the magnolia's lover: Ladybug! 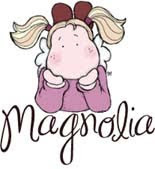 Materiali: Timbro Magnolia "Tilda con coccinella" dalla collezione Chasing Butterflies 2009, timbro Buon Compleanno Impronte, carte Bazzill, Cosmo Cricket e Basic Grey, Nestabilities, nastro, Pennarelli Impress, brads, Quickutz e fiori. 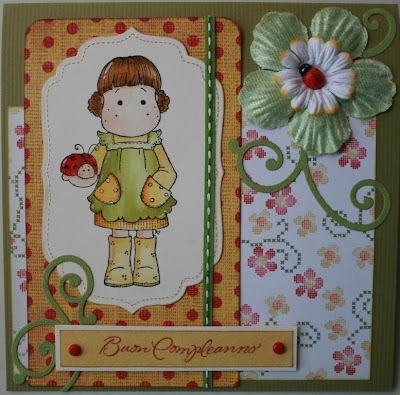 Materials: Magnolia stamp "Tilda with Ladybug" from Chasing Butterflies Collection 2009,Bazzill, Cosmo Cricket and Basic Grey papers, Nestabilities, stitched ribbon, Impress markers, brads, Quickutz and flowers. Adorable card Serena!!! I can imagine how happy the little girl will be who gets such a lovely card! She is going to love receiving your card! What an amazing card. Beautiful colours and stamp!!!! Lovely card. I really like your clean lines and exta details. Beautiful work.